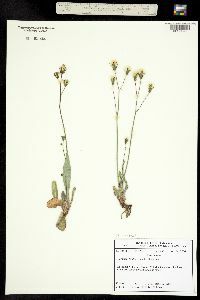 Locality: United States, Colorado, Pueblo, San Isabel National Forest, East face of Wet Mts. Greenhorn Trail West of Rye. Habitat: Open dry rocky South facing slope. 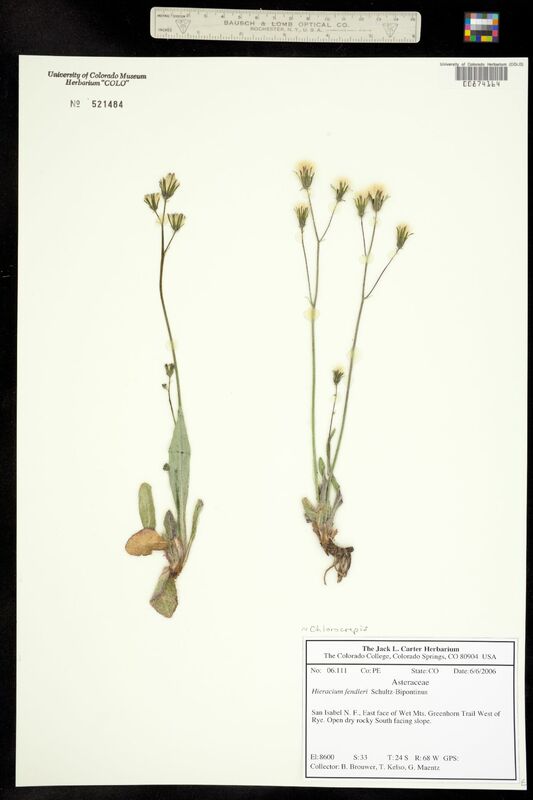 Notes: Originally ID'd as Hieracium fendleri Schultz-Bipontinus.